The New Orleans Saints plan to start Teddy Bridgewater at quarterback in place of Drew Brees in Sunday’s season finale against the Carolina Panthers. Coach Sean Payton announced the decision to start Bridgewater on Friday, saying the 26-year-old quarterback had been working with the first-team offense throughout the week of practice. 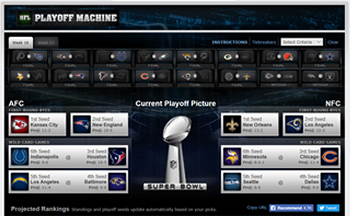 The Saints have already clinched the No. 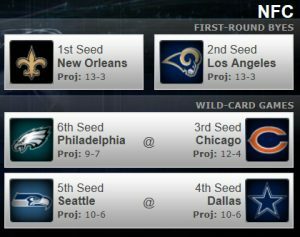 1 seed, so there are no playoff implications, which explains why the coaches want to rest Brees. This will be just third start Brees has missed since joining the Saints in 2006. He also sat in Week 17 of 2009 when the Saints already had the No. 1 seed, and he missed Week 3 of 2015 with a shoulder injury. Posted in Saints News | Comments Off on Playoff Machine ! “I played eight seasons in the NFL, and I’m in my eighth season with ALS. ALS is a remorseless and humiliating disease. During my eight years in the NFL, I was fortunate to have coaches, and other players, that would mentor and support me. I’m indebted and grateful to those people. I feel undeserving of their grace and mentorship. I want to introduce you to my friend Kennedy. She is 7 years old and has juvenile ALS. I am not telling you Kennedy has ALS to gain sympathy. On the contrary, I want you to know that this 7-year-old is full of life, love, smiles, and enthusiasm for everything she does, despite having ALS. Kennedy and my son are the same age. If you know kids at that age, they live with 100% passion for everything they do. 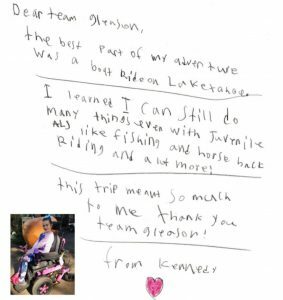 This past year, we were able to help Kennedy with a new power chair fitted to her specific needs as an active 7-year-old. Then, because she had the new chair, she was able to go on a Team Gleason Lake Tahoe adventure. Having the right equipment and technology is vital in allowing people with ALS to live with passion and purpose. Kennedy’s words say it all. Please help us empower more people living with ALS. We continue to work toward immediately impacting the lives of all people with ALS, by inspiring them to live with passion and purpose, while giving them the tools to do so. From me, Michel and Team Gleason’s staff and volunteers, we thank you for being a part of our team and allowing us to continue telling stories like Kennedy’s. CLICK HERE NOW TO HELP !